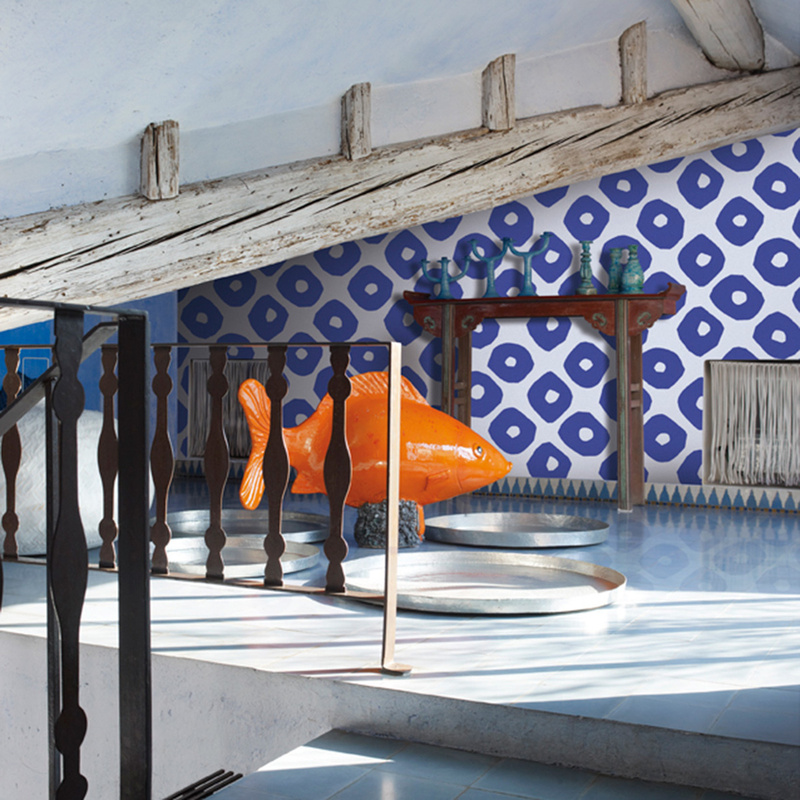 Pao Pao is a designer wallpaper designed by Paola Navone for Jannelli&Volpi. Circles are hand drawn with thick, quick paint brushes. 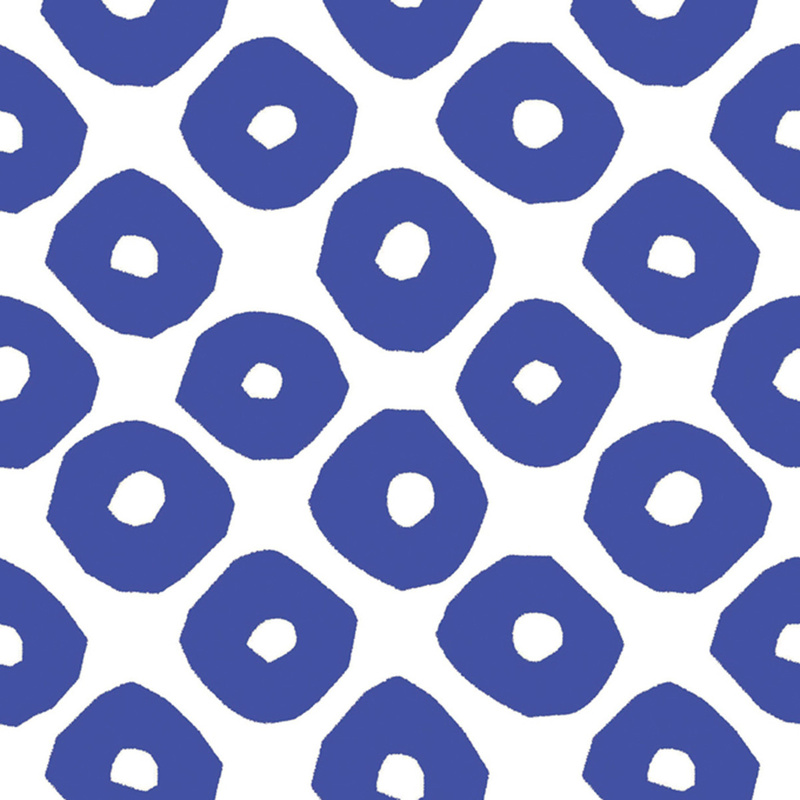 Perhaps it's an endless repetition of doodles?Or perhaps it's Chinese steam-cooked bagels on a bamboo tray. Or donuts as seen while strolling in New York, and dipped in pure colours. Pao Pao can be all these things, and many more. Its monochrome pattern is simple, authentic, friendly. Designed in 100-cm-wide pieces, this wallpaper is ideal for decorating sitting rooms, bedrooms, public spaces, restaurants or boutiques. Available in 4 colour options, it will add a decided, international feel to all spaces. It can be used as a decorative piece or cover the whole wall. This wallpaper is durable, can be washed and doesn't fear direct sunlight. Apply with Metylan_instant or Metylan_ovalit glue, by spreading the glue all over the wall. Fire resistance class EB1. Apply to any dry, smooth, solid wall by spreading a uniform layer of glue, then place the wallpaper. Using a dry cloth, gently press on the entire surface to ensure optimum adherence. Do not leave glue stains on the decorated side. In case of glue stains, clean the whole surface with a clean, slightly damp sponge. The package includes further instructions for a safe and easy application. 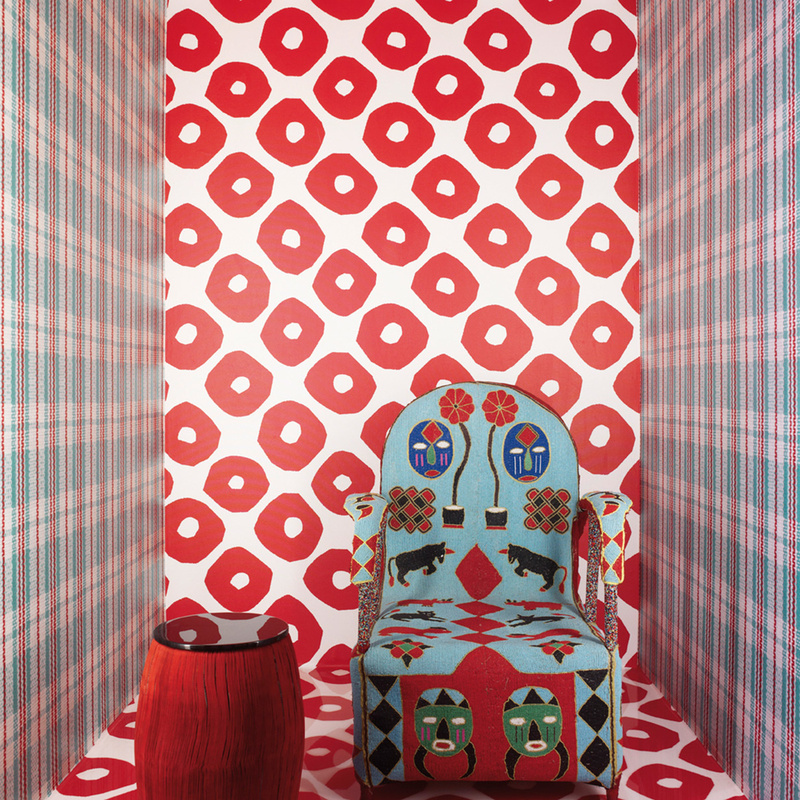 Established in 1961 by Oreste Jannelli, his wife and his brothers in law, Jannelli&Volpi celebrates its fiftieth anniversary with the 5x10 Wallpaper Celebration collection. 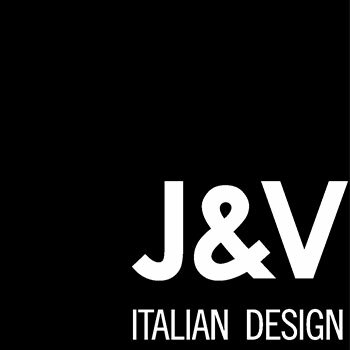 A leader in Italy in the field of wallpapers and décor textiles, Jannelli&Volpi knows how to evolve through its 100% Made in Italy production boasting top quality and style.